Bodet offers LED displays kits with integrated standard protocol dedicated to the display of Petrol Price Sign for gas stations. Flexibility: The control board directly incorporates the standard protocols. Easy integration: The compact control box is easily housed in the sign structure. Reliability: The LEDs are protected from short circuiting and the modules are tropical climate-proofed. 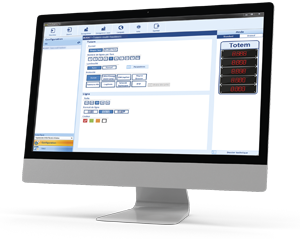 User-friendly configuration: With the Karbu Config software, you can configure the price sign in just a few clicks. Easy maintenance: The electronic LED boards are easy to replace, and digits within a line are interchangeable. Single-sided display of 1 to 10 lines or Double-sided display of 1 to 5 lines. 5 digit heights: 15, 20, 25, 30 and 42 cm. 4 LED colours: red, white, yellow, green. Standard protocol: Tokheim, Wayne Dresser, Scheidt & Bachmann. Price adjustment with wireless keypad and KARBU PRICE software. Number and format of lines. 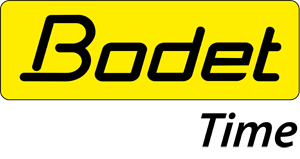 Bodet offers electromagnetic kits with solar power supply and GSM control making the system truly standalone.